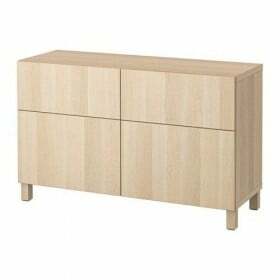 IKEA furniture in addition to its convenience and wide functionality is good as well because it can easily style to any interior. In this case, we look at how out of the ordinary and very rustic wardrobe PAX 5 for steps you can get a nice wardrobe, made "antique". Judging by the pictures, we can see that this element of the interior is very harmoniously into the women's dormitory. 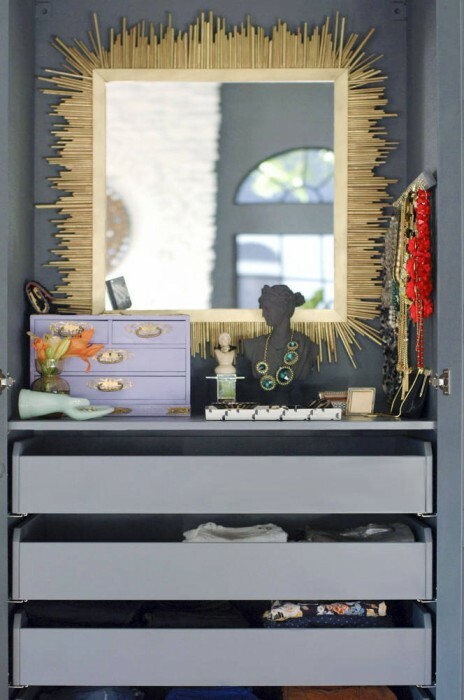 It includes a lot of mirrors, and also has a special place to store jewelry. The dream of every lady! 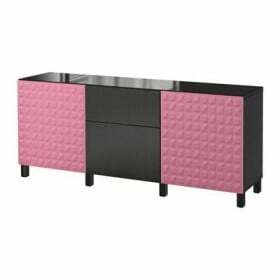 Nothing is not radically change the look of the furniture as a new color. 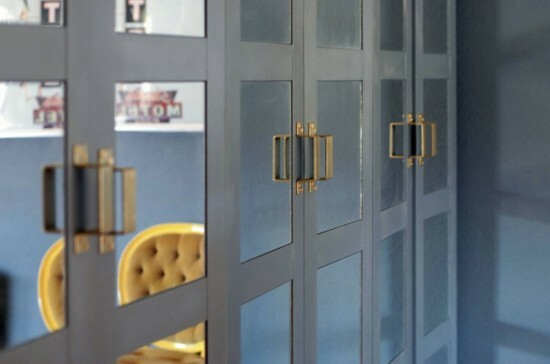 You can pick up the paint to match the interior, and to give his wardrobe different hue. Dyeing is carried out in three layers must be applied and then a clear shellac. If you add at least one additional element, even the most insignificant, the furniture will acquire its own unique charm. 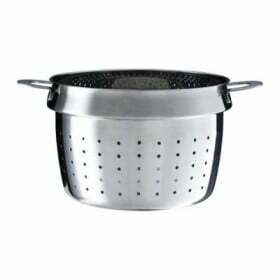 In this case, we use an architectural decorative element - dentil. 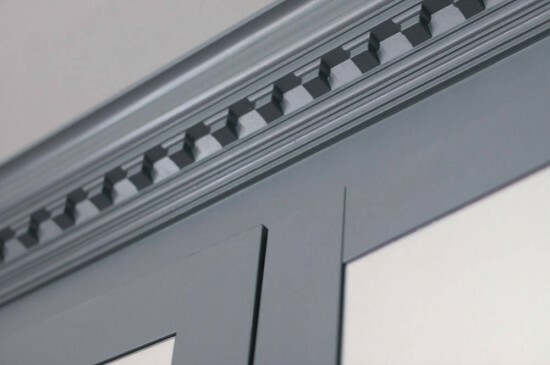 The upper part of the wardrobe will be decorated with carved these Mouldings, pre-painted in the color you want. 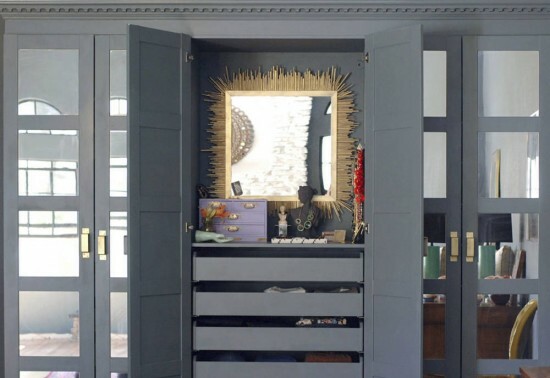 Small square mirrors glued to the doors of the wardrobe, give a luxurious look of your furniture. 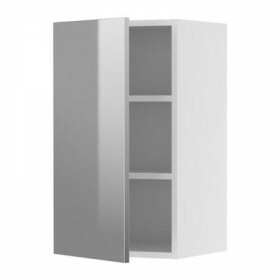 Four Mirror in a row on each door is enough to significantly transform the wardrobe. Do not get round pen and wings! 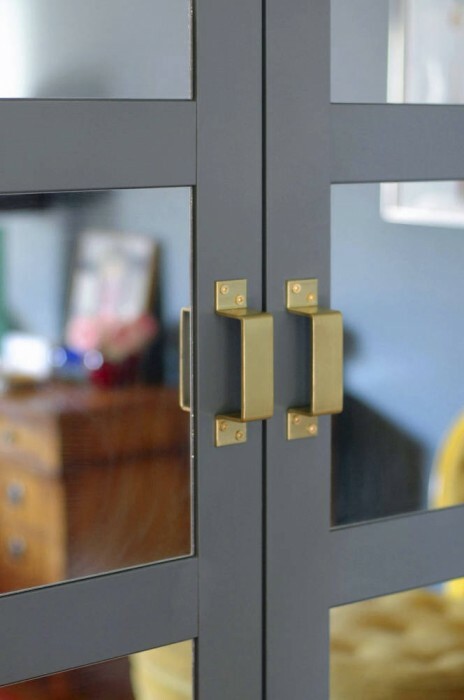 Painted gold, it completely changes the entire picture a shade shown in the photographs, and you, in turn, can themselves choose the right color you want, combined with the main shade of furniture. At the end zone to take care of decorations. 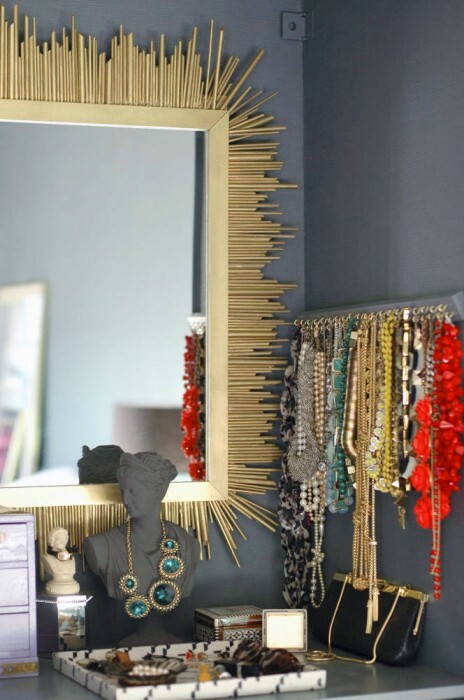 Hang fancy mirror, which, by the way, you too can decorate yourself, prepare a place for necklaces, for example nailed to wooden dosochki brass hooks are ideal for placing beads. 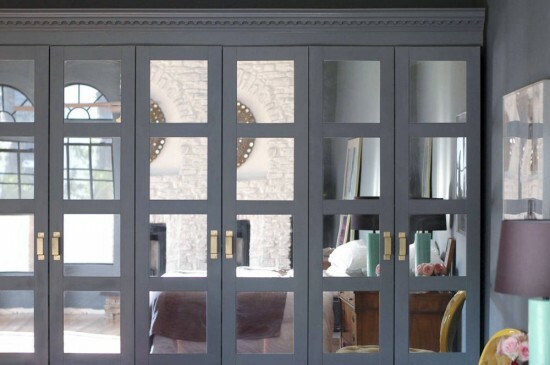 How rare in stores you can find the very furniture that is ideal for interior and fully embody the idea. No need to spend time searching for a suitable wardrobe! It's time to take things into their own hands, as you have seen, IKEA furniture, because of its restraint in design, allows you to fully manifest their ideas about her new appearance. Wonderful!!! And what paint you painted furniture? A common wall? This alteration of used furniture paint.